Although the typical office doesn’t contain the obvious life-threatening hazards of some work environments, the hazards that do exist in the office can nonetheless cause real damage. We are getting more and more enquiries for our 'Safety in the Office' DVD from businesses with as few as 3-5 employees. 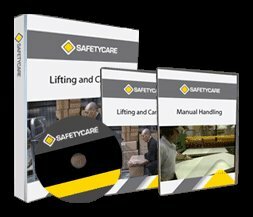 Our Safety in the Office DVD is an excellent way to train and promote a safe office environment. No organisation can afford to ignore hazards in the office, just because they aren't so obvious. Click here to get it. Do the right thing by investing in some office training to keep everyone safe at work. 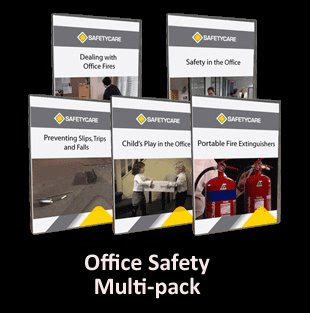 Click on the image below to get the Office Safety Multi Pack. Funny manual handling video . . . or is it? Safety DVDs, Safety DVDs and more Safety DVDs!